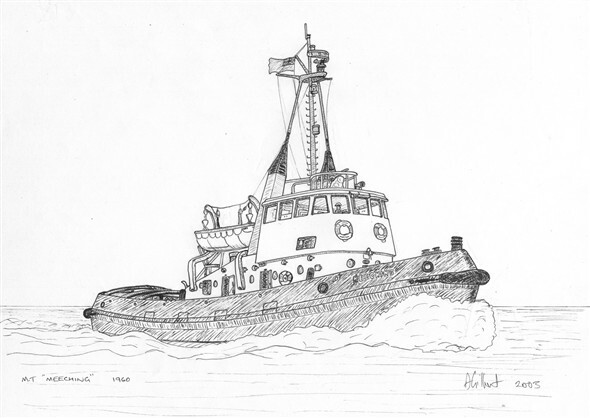 I have produced some line drawings of some of the tugs and ferries that have operated from Newhaven since the 1950's and I have now decided to release copies of these for sale through OurNewhaven, with all profits going directly to the group to help improve and expand what we do, both here on the website and at various events in the town. These will be high quality copies of the originals printed on heavyweight paper, and they can be laminated if required. Vessels covered so far are the tugs Foremost 22 and Meeching, the passenger steamers Brighton and Lisieux, and the car ferry Valencay. 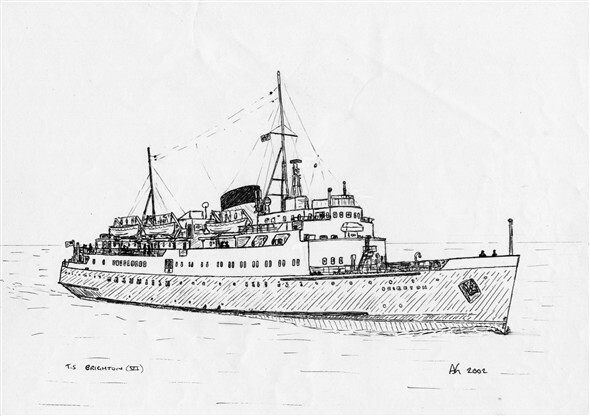 I have been asked to include the ferries Falaise, Senlac and Seven Sisters, and I am working on these now. Prices will be £2.00 unlaminated ready for framing, and £2.50 laminated. The first five, as shown below, are available now, and the final three will be ready by the end of the summer. It may also be possible to produce these as a set of eight greetings cards, price yet to be confirmed. This page was added by Andy Gilbert on 26/07/2009. 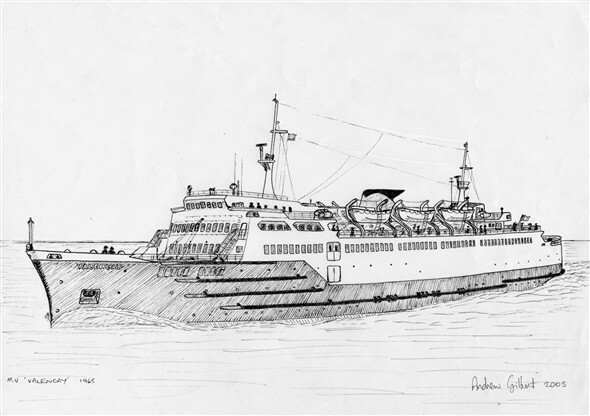 Good to see these nice drawings Andy, they are excellent renditions of the ships and it makes a change for them to be monochrome. My personal favourite is the one of Brighton but the Foremost 22 comes a close second. More of the same would be a good addition to the website. 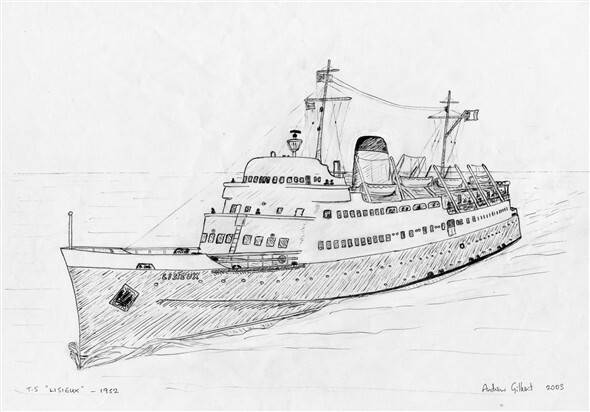 These line drawings bring back wonderful memories Andy. I remember seeing them come around the end of the breakwater together with the , whilst playing on the beach or fishing near the green light. 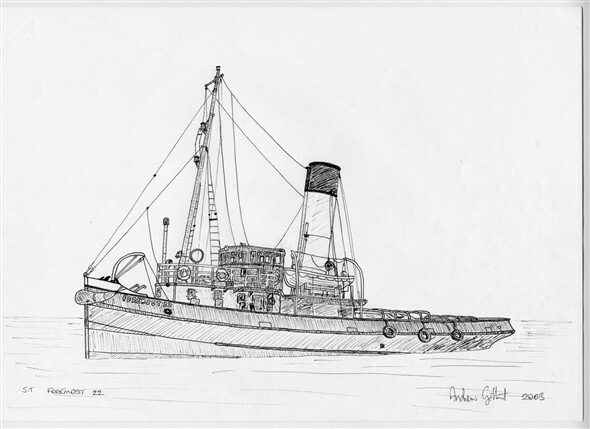 Can you remember the paddle steamer which visited called the Owen Glendower?